Soreness After Exercise: Stop or Carry On? One of the more important roles we have as physical therapists is to help our patients wade through the ebb and flow of pain and discomfort and the proverbial “soreness” after activity, whether it’s work or sport. Not all pain is “bad” and not all pain means pathology is present. Sometimes soreness and pain just results from the body adapting to the stress we put on it. For example, many patients complain of pain after ankle surgery once they go back to work and are on their feet all day for the first time. They come in worried that something bad happened or they did damage because they’re limping, swollen, or sore. Our main job at physical therapists in this situation is to calm their anxiety by helping them understand that it was a big step for their ankle today to work an 8-10 hour day after being off work for several weeks and they’ll be fine – the ankle is just having a temper tantrum right now. Here’s what we do to make that better. In a short time, the work day is a “piece of cake” then they jog for the first time and the process repeats itself. 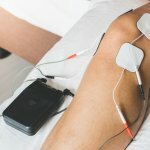 However, there are other times when our patients are completing a return to sport progression in say, swimming or baseball, and after motoring along for a few weeks, they have significant soreness that lasts maybe a couple of days. Again, after asking some pointed and detailed questions, we’re able to determine better if this is “bad” pain or just pain from the body adapting. All that being said, how can you determine if your pain is just from soreness or if there is something more concerning going on? It is important to understand that pain isn’t always what it seems. For example, many patients get an MRI on their lumbar spine and the report comes back that they have signs of pathology but are asymptomatic. Well, we know now that up to 40% of people have positive findings on MRI but are asymptomatic. Conversely, many patients have an MRI report that says one thing, but their symptoms say another. Therefore, diagnostic studies don’t always match with what your complaints are. Secondly, pain and how our body interprets it can be from multiple sources. Stress, anxiety, lack of fear, past experience with pain, and previous injury can all have an affect on how we perceive the pain we’re experiencing. Certainly, pain can match the injury – you roll your ankle you now have a swollen ankle that is tender and causes you to limp. However, it is important to understand that our activity level and any spike in it, even if it’s only going from part-time to full-time work, can cause soreness. Finally, sharp pain is different than dull, achy pain. “Knife-like,” sharp pain may be indicative of more serious pathology. 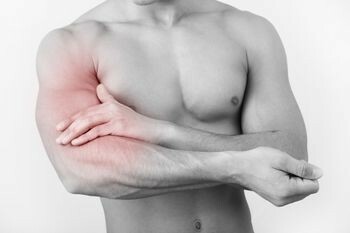 On the contrary, dull achy pain that is more diffuse after activity that surfaces after exercise and lasts up to 24 hours later isn’t as concerning. If you have soreness during warm-up that continues, take a couple of days off and drop down a step in your exercise routine or training. For example, if you have pain during warm-up after jogging a mile yesterday, you might consider jogging a half mile in two days. If you have soreness during warm-up that goes away, stay at that level that lead to the soreness, then increase to the next step once the warm-up is soreness-free. If you have soreness that is present during warm-up that goes away again later , then surfaces again – take a couple of days off and again, drop down a step. If sore more than 1 hour after throwing, or the next day, take 1 day off and repeat the most recent throwing program workout. If sore during warm-up but soreness is gone within the first 15 throws, repeat the previous workout. If shoulder becomes sore during this workout, stop and take 2 days off. Upon return to throwing, drop down one step. If sore during warm-up and soreness continues through the first 15 throws, stop throwing and take 2 days off. Upon return to throwing, drop down one step. If no soreness, advance one step every throwing day. There are many things you can do to control soreness. Graded progression of activity and exercise is arguably the most important factor. “Too much, too soon” is the kiss of death for soreness. So, don’t train for that marathon and run 5 miles one day and then run 10 the next. If your son plays baseball, don’t go from throwing 50 throws 90 feet to 100 pitches off the mound at full speed in the span of a couple of days. There are numerous interval sport programs available for many different sports and can easily be found online that will provide specific guidelines on what to do. Another way is to make sure you have discussed your intentions with your physician and/or your physical therapist. They can provide guidance on what to do and how to avoid soreness. Next, make sure you have the appropriate mechanics and technique of the activity. Along those same lines, ensure you have proper mobility and strength to return to activity safely. A physical therapist can help you to determine if you are physically ready. Finally, consider things like icing, massage, proper cool down activities, and anti-inflammatory medications to manage soreness. 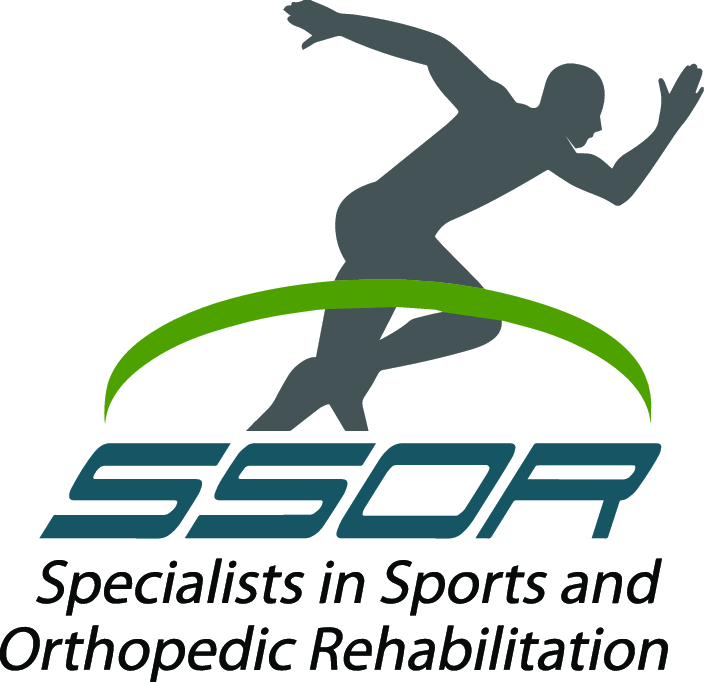 The physical therapists at SSOR are accustomed to treating results-oriented patients. We know how to help our patients progress safely through their rehabilitation and eventually their return to activity, whatever that may be. We don’t freak out when you’re sore and we’ll make sure you don’t either! Rest assured though, if something’s amiss, we’ll help get you to the right providers. It would be a privilege to serve you and partner with you in your care. Give us a call!